Did you know? 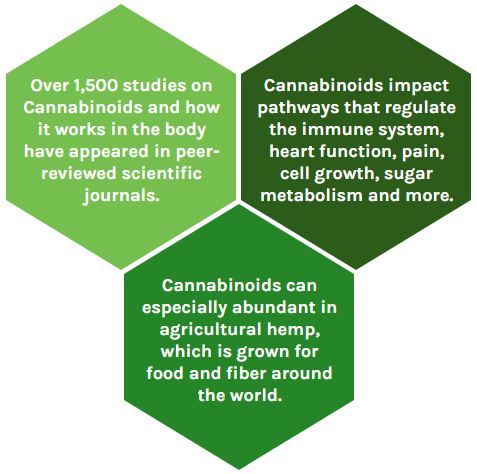 Science supports the premise that Cannabinoids are beneficial to human health. A growing number of scientists and healthcare professionals are exploring the potential of phytocannabinoids for promoting well-being and overall health. Their findings are published in scientific and medical journals. Our unique, patented nextHEMP Technology™ significantly amplifies phytocannabinoid absorption into the bloodstream and achieves the desired response by the body. This key aspect of HYGIA products helps to ensure predictable and consistent results. With our patented bio-enhancement technology our company’s ability to produce cannabinoids will fulfill largely unmet needs in the nutraceutical, dietary supplement, and beverage industries. 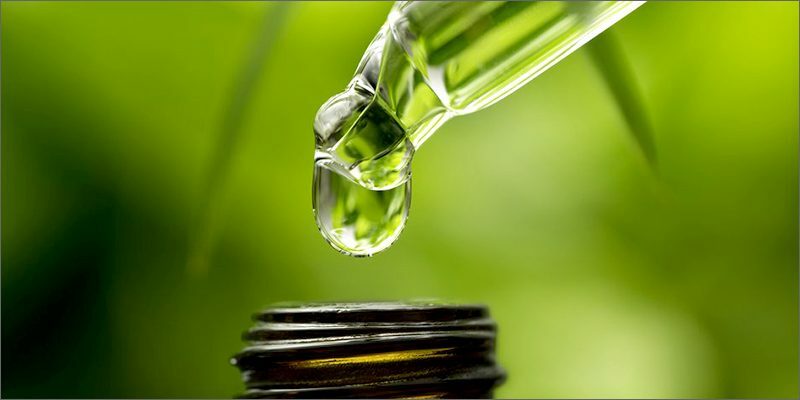 The demand for specific Cannabinoids has skyrocketed as consumers have learned more about it. Still, it remains a scarce, very expensive commodity. Quality and quantity are in very short supply, as the small amounts available typically are of questionable composition and low bioavailability. Fortunately for consumers worldwide, HYGIA stands ready to produce vast quantities of the highest-quality Cannabinoids, with Total Bioavailability. HYGIA has created a unique, proprietary hemp cultivar that is exceptional for its copious yield of specific Phytocannabinoids. The Company has also developed innovative and patented technologies that dramatically reduce the time needed for making these products. Most cannabinoids degrade in the stomach without the applied science of our exclusive nextHEMP Technology™. Hemp Extracts, coupled with our patent-protected technology, will greatly enhance the transport of this Phytocannabinoid into the bloodstream; and, then to sites in the body where it can achieve the desired response and effects. Our world-renowned scientists have worked for years to make credible, science-based Cannabinoid products a reality. These efforts have led to the discovery and refinement of breakthrough methods for producing Phytocannabinoids with maximum Total Bioavailability™. In our research of other ordinary hemp-based cannabinoid products we have found that as much as 95 percent of ordinary Cannabinoids are destroyed on their way to the bloodstream. Those products only provide a fraction of the positive effects realized from cannabinoid products. Without efficient Total Bioavailability™, ordinary cannabinoid products are of limited use and efficacy. By applying sound scientific methods, our researchers in Israel have made Total Bioavailability™ uniquely efficient. This achievement is truly groundbreaking for using Phytocannabinoids to support good health and longevity. Studies show that cannabinoids coupled with our exclusive nextHemp Technology™ do not degrade in the stomach, as do ordinary cannabinoids. Also, our patent-protected technology greatly enhances the transport of our concentrate to the bloodstream and then to sites in the body where it can achieve the desired response and effects. Hence, nextHemp Inside™. 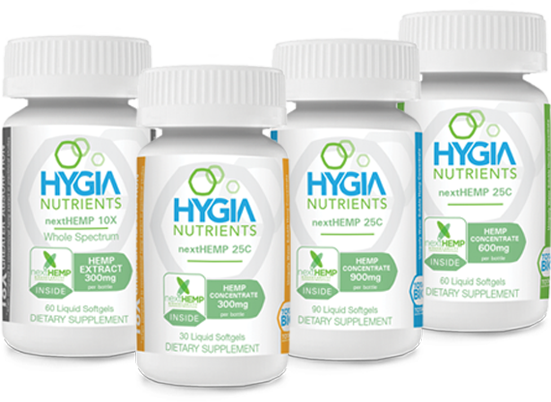 HYGIA Nutrients’ vastly superior Total Bioavailability multiplies the strength of our products far beyond the reach of competitors. These profound advancements in applied science have positioned us to be the global leader for setting industry standards with quality, performance and Total Bioavailability™. Our progress, and what it implies for transforming the use of cannabinoids is beyond comparison. Cannabinoids coupled with our exclusive nextHemp Technology™ do not degrade in the stomach, as do ordinary cannabinoids. In addition, our patent-protected technology greatly enhances the transport of our concentrate to the bloodstream and then to sites in the body where it can achieve the desired response and effects. Hence, nextHemp Inside™. Science supports the premise that Cannabinoids are beneficial to human health. Over half the states and the District of Columbia, along with dozens of countries, have legalized specific Cannabinoids. The number of Americans taking these Phytocannabinoids for health reasons is in the millions and rapidly increasing.